One of the key indicators for a healthy and successful website or blog is a good Alexa ranking. It is advised to improve your ranking with the help of #1 Traffic Exchange Service. As a rule of thumb, the better the Alexa ranking, the more business you’ll get. Alexa is a benchmark site that provides traffic data, global rankings and other information on millions of websites. 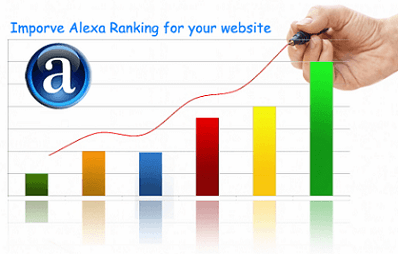 We help you to boost your Alexa ranking by providing millions of real visitors who have installed Alexa toolbar. This ensures that you get an improved PageRank and brand visibility which enables effective promotion of products, services, talents, skills, etc. Firstly, you have to make sure that your site is indexed by the program and it has been given a basic rank before commencing any Alexa service. Alexa ranks are evaluated every 3 months. So, your site may not showcase quick results. For example, if your website is not even 3 months old, you may have to wait longer for the desired results. We guarantee that you will get real visitors to your website who have the Alexa toolbar installed. We can ensure that the target audience is from the country or region you specifically geo-target. You can then work with this leads. Only the users who have Alexa toolbars installed (this is verified by our network), view your page, ensuring quality service.